A thru Z? The Possibilities Are Limitless! 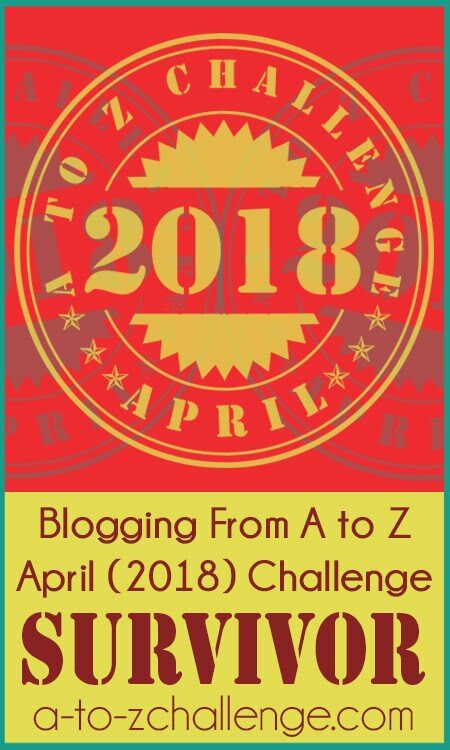 Can you believe that in 2014 we will be celebrating year FIVE of the Blogging from A to Z April Challenge! How will you be using A to Z to your best advantage? From that first year in 2010 I realized the potential of an event like the April Challenge. 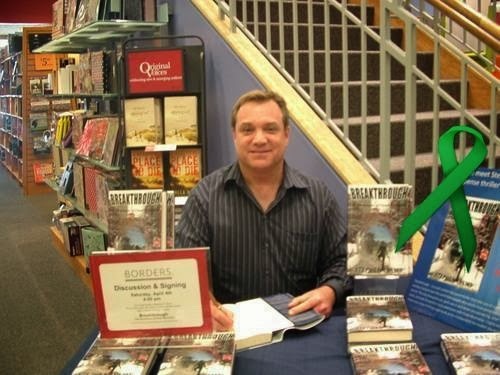 It was a great way to meet new bloggers and add to followers to ones own blog. Now after four Challenges we've seen the endless possibilities that A to Z has to offer. Each year brings talented bloggers with innovative ideas to try as well as tried and true methods of improving content generation, reaching out to community, and bettering oneself as a blogger. Among the ongoing A to Z community and the A to Z alumni, proudly displaying A to Z badges and other identifiers is a mark of achievement. A to Z has become a blogging institution of integrity. How has A to Z helped you? How can you make the Challenge serve your needs? These are some questions we'll be exploring in the next coming months. If you've given up on the April Challenge or have considered not doing it again in 2014, think again. 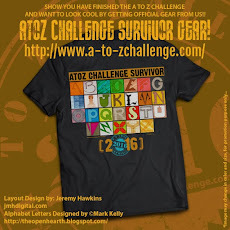 You may be overlooking some important potentials offered by the A to Z Challenge. Want to Start a Blogging Wildfire? Please check out my Monday November 11 post at Tossing It Out. You don't have to read the entire thing, but scroll down to the last section. I'm planting some seeds of thought that I hope to start sowing more extensively in the next couple of weeks. Or if you'd rather just skip the Tossing It Out post and visit the post that started my thinking, then go to the post by Yolanda Renée at A Faraway View. This post might make you think. But this post is only a starting point for something else. Something that will come later. Be sure to leave Yolanda a comment about her post so we know that you were there. 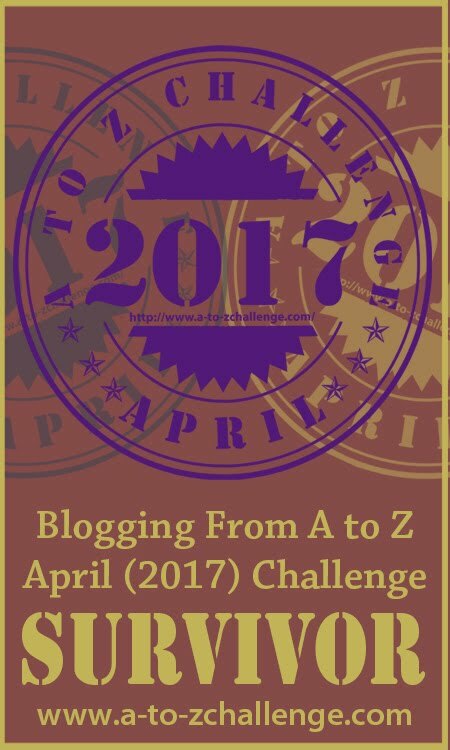 How has the A to Z Challenge helped you? Are you looking for more readers on your blog? Do you think there is any tried and true formula for increasing blog followers or subscribers who actually come back to read your posts? As a writer of modern day Sci-fi, action, suspense, and horror I love marrying two polar opposites, while at the same time creating great conflict. 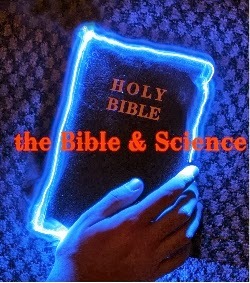 I can think of no better subject than combining science with the supernatural. Most civilizations, including advanced ones throughout history, believed there was more to this world than what the five senses could perceive and interpret. They thought there are more realms than the spatial dimensions we are confined in and limited to by our five senses. Most believed the supernatural was more real than the world they lived in. Looking back on Greek and Roman mythology, these cultures were merely trying to understand and explain their universe they best they could. Theologians do the same today, the best they can. So do astronomers and biologists. And physicists. Which brings us to one of the simplest, beautiful, elegant, and powerful equations known to man. E=MC2. Einstein’s famous, even cult-like, equation. The key to this expression is the equal sign. Both sides must be the same. E equals energy. MC2 is mass times the speed of light squared. To get an idea of the potential power of energy in mass, the bombs dropped on Hiroshima and Nagasaki only released one to two percent of their inherent energy. But what I love about this equation is energy can be converted to mass and mass right back into energy. This could very well explain angels and demons. An angel is generally understood to be a spirit being, made of pure energy, and living for the most part in a dimension above and beyond the space-time continuum we reside. These beings can, at will if they have the authority, convert themselves into mass and manifest in our world. Then, when their work is done, convert back to energy, disappear, and move with ease back into their dimensions. Add in a wormhole or two, and let the fun begin. Who knows what evil lurks for a human traversing a portal through space for the first time? They could punch a hole through another world and bring back an evil hitchhiker. But why stop there? Wormholes are the Pandora’s Box that gets knocked over, its unknown contents spilled across the floor and unleashed upon an unsuspecting world. Let the fun begin! As a writer, I now have free reign to do pretty much anything I want when combining science and the supernatural. I am not confined by the scientific method or need to call my work speculative fiction. I have a license to write all kinds of crazy stuff and not care if I anger someone in the scientific world or the religious field. Believe me, I have had both camps hound me and write terrible comments on some of my blog posts over the past five years. Why, because these conflicting viewpoints, both trying to explain our universe and our place in it the best they can, do not understand E=MC2. What about ESP? These are senses that go beyond sight, smell, hearing, taste, and touch. Pentecostals will call these Gifts of the Spirit, such as discerning of spirits. Mediums claim they can talk to the dead. Others will say they can read your mind, help police find a buried body, or bend spoons. Children seeing monsters in their bedrooms at night? This may not be their imagination after all. Regardless, E=MC2 goes a long way in helping to explain our universe and our place in it. It is certainly not limited to Bunsen burners and telescopes. So to all my writer friends, you may freely move about the cabin. Take a deep breath and know you can confidently move in any direction your story demands. You may not be writing speculative fiction. You might just be onto something far more concrete than you think. Challenge Participant Feature - Sean McLachlan, Civil War, and the Wild, Wild West! You’ve written about Civil War history for so long – was it difficult to find topics that fit the A to Z? Not at all! The American Civil War is such a rich topic, plus I look at the understudied area west of the Mississippi, which only now is getting the attention it deserves. As usual with my blog, I swerved off topic and talked about the Wild West and movies as well! Did you learn anything new while composing your posts? I learned a little while researching almost every one of my posts. 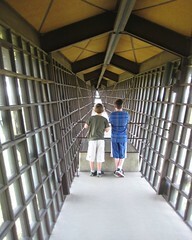 That’s one of the things I love about blogging, it doubles as research to inspire my historical fiction and nonfiction. That would have to be G for Globster. See below! Who was William S. Hart? 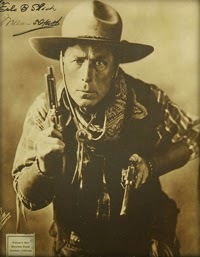 William S. Hart was the first Western film star, back in the silent movie era of the 1920s and 1920s. He starred in more than 70 Westerns from 1914 to 1925 and helped establish many of the tropes still used in Westerns to this day. In The Return of Draw Egan (1916) Hart favors a slight grimace and a cigarillo that looks like it inspired Clint Eastwood's The Man With No Name. I wouldn't be surprised. Hart inspired many Western actors and helped establish the genre. He was hugely successful in his day but sadly all but forgotten now. The Baldknobbers were a group of vigilantes in the Missouri Ozarks in the years after the Civil War. The Ozarks were hard hit by the war and returning Confederate soldiers found their land had been confiscated by the government and sold Unionists for failure to pay taxes. Some former rebels turned to lawlessness (like Jesse James did in western Missouri) and a group of former Union soldiers formed the Baldknobbers, so called because they’d meet on a bare hilltop (a “bald knob”) in local parlance) so they could talk without being heard. 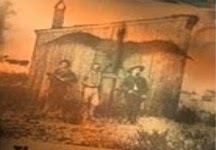 Gunfights and lynchings became rife, with both sides losing many men in this replay of the Civil War. You posted about Pterodactyls for P. Explain to everyone how Pterodactyls fit into Wild West history. Pterodactyls are alive and flying over America! The old Native American legend of the Thunderbird, a giant bird, inspired many tales in the Old West of living pterodactyls. Back in 1890, the Tombstone Epitaph published a story claiming that some cowboys bagged one. Several photos have popped up since then purporting to show cowboys or Civil War soldiers proudly posing next to dead flying dinosaurs. Continuing the weird theme, what are globsters? Globsters are simply the cutest, cuddliest lumps of decaying flesh you’ll ever come across on the beach. 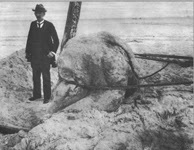 Every now and then a large chunk of unidentifiable meat will wash ashore, sparking rumors of strange sea beasts. I've always had a soft spot in my heart for globsters. Perhaps it's the name, or their irresistible charm. Perhaps it's because I always root for the underdog, and you can't get much lower than being a rotting hunk of unidentifiable meat on the beach being gawked at by local yokels. 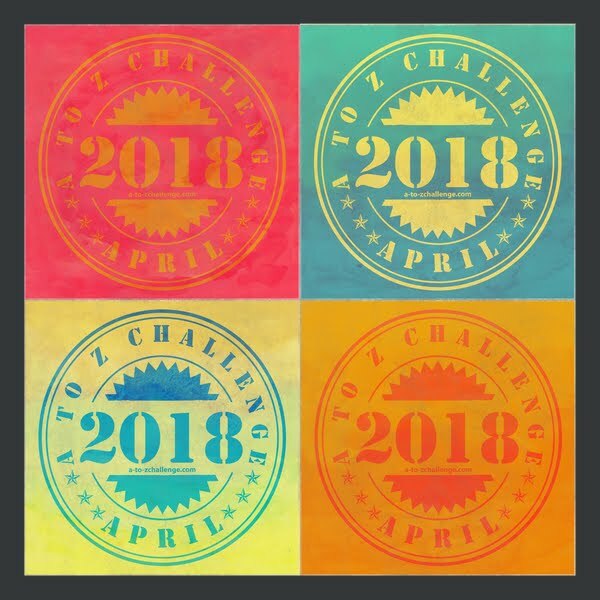 If you do the Challenge next year, what themes are you considering? 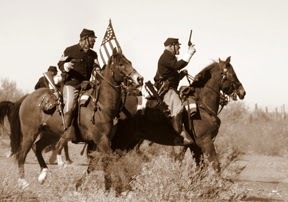 I’ve expanded beyond the Civil War and Wild West in my blogging. While I’m keeping my blog Civil War Horror alive for those subjects, I’ve revived my old blog Midlist Writer in order to reflect my shift to other subjects in my fiction. Midlist Writer covers writing (a lot about NaNo at the moment), travel, history, photography, obscure films, globsters, and whatever else I fancy. I’m thinking the next A to Z will be a seething mass of chaos from the fevered brain of Sean McLachlan.